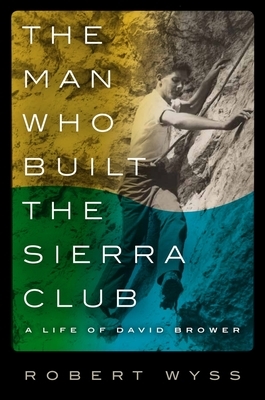 David Brower (1912-2000) was a central figure in the modern environmental movement. His leadership, vision, and elegant conception of the wilderness forever changed how we approach nature. In many ways, he was a twentieth-century Thoreau. Brower transformed the Sierra Club into a national force that challenged and stopped federally sponsored projects that would have dammed the Grand Canyon and destroyed hundreds of millions of acres of our nation's wilderness. To admirers, he was tireless, passionate, visionary, and unyielding. To opponents and even some supporters, he was contentious and polarizing. As a young man growing up in Berkeley, California, Brower proved himself a fearless climber of the Sierra Nevada's dangerous peaks. After serving in the Tenth Mountain Division during World War II, he became executive director of the Sierra Club. This uncompromising biography explores Brower's role as steward of the modern environmental movement. His passionate advocacy destroyed lifelong friendships and, at times, threatened his goals. Yet his achievements remain some of the most important triumphs of the conservation movement. What emerges from this unique portrait is a rich and robust profile of a leader who took up the work of John Muir and, along with Rachel Carson, made environmentalism the cause of our time.